As one of the premier addresses in Chicago, Water Tower Place at 180 E. Pearson is a luxury condominium building that is attached to the iconic Water Tower Shopping Mall, Chicago’s first-class shopping destination. The mall is home to the new Broadway Playhouse and more than 100 stores. Water Tower Place condos are also close to the five-star Ritz Carlton Hotel. Chicago’s Water Tower Place is a full amenity building with 24-hour door staff, concierge, on-site management, and ample parking for both guests and residents. The residents of Water Tower Place in Chicago enjoy access to the amenities of the Ritz Carlton and the Carlton Club, which includes a spa, health club, private dining room, room service and catering. As one of downtown Chicago’s combination hotel-condo buildings, the amenities and conveniences here at 180 E. Pearson are right on par with some of Chicago’s other ultra-elite buildings like Trump Tower and Waldorf Astoria. Water Tower Place condos for sale range from two-, three-, and four-bedroom layouts. 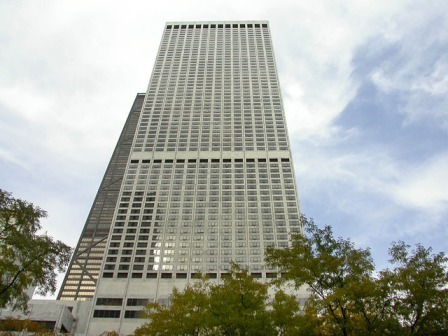 Although the building was developed back in the mid-1970s, nearly all of its units have been fully updated to include modern kitchen designs, high quality bathroom features and fixtures, and numerous other upgrades that make Water Tower Place condos among the most highly sought after in all of Streeterville. Contact us today and we'll be happy to show you around the luxury condominium development here at Water Tower Place in downtown Chicago. Chances are, once you see this property, you'll never want to leave!